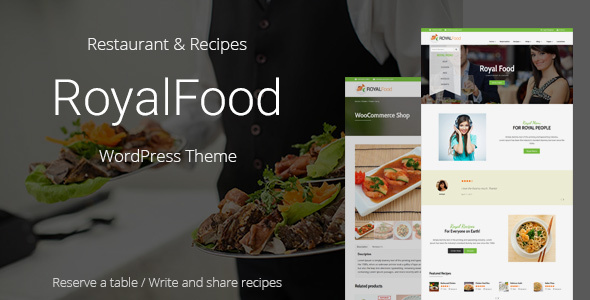 RoyalFood theme is focused on restaurant, recipe writers, blog writers, individual blog, cafe, pizza shop, various cuisines etc. It is also possible to use this theme for any business. Beautiful typography with FontAwesome icons included. This theme is fully responsive and renders smoothly in any device. Intuitive theme settings and page templates will give you a great experience. We have used advanced custom fields pro plugin for the custom page templates and theme settings. You may install and use the pre packaged plugins which are shipped with this theme for maximum benefits. If you like the theme, please support us by giving five star ratings on themeforest. Thank you so much.